There are usually two paths people can take after they have a dental procedure. There is the easy path or the difficult one. The difficult path leads to pain, discomfort and having to do things you are not comfortable with. The easy path leads to a successful recovery that has the least amount of impact on your life as possible. Most people would prefer the easier path. If they have root planing and scaling, the easy path is often the result of the preparation you do. Scaling and root planing is a treatment to help with gum disease. 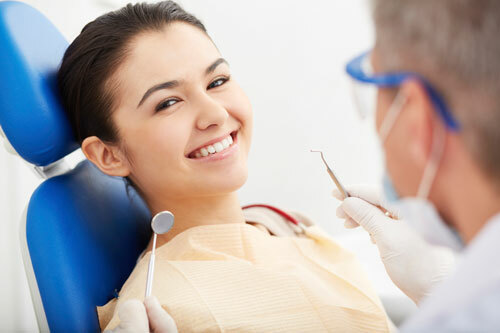 They provide the patient with a deep cleaning to help combat the problems of gum disease. Scaling works to remove the plaque and tartar that exists both above and below the gum line. Root planing helps smooth out the roots of the teeth. This helps the gums reattach to the teeth and eliminate the gaps that bacteria can grow in. Scaling and root planing occurs in our dental offices. The procedures are typically done at the same visit. Patients can do things to prepare for the procedures and they can take steps in aftercare to help with the success of the work. There are not many things that you have to do when you schedule a scaling and root planing procedure. You could just show up at our offices the day of your appointment and go through it. It is better if you take some time to prepare for what you need to do after the procedure to make your recovery a little easier. It is best to have the supplies you need to accomplish these things before your procedure. Some people may not want to return to work for 2 or 3 days because of the potential discomfort and to reduce stress. Our dental professionals will do everything we can to help your recovery without problems from this procedure. If you think anything is not right or want more information about scaling and root planing, contact the professionals at our offices.